Apple recently launched its new iPhone 8 and iPhone 8 Plus handsets. 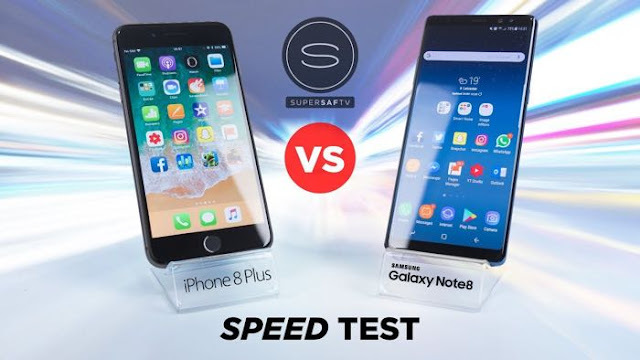 We have already seen a number of videos of the two handsets and also some benchmarks for the devices.Now we have a video of the iPhone 8 Plus vs Samsung Galaxy Note 8, the two handsets go head to head in a number of speed tests in a video from SuperSaf TV. It will be interesting to see how the two smartphones perform side by side and which one of these two flagships ends up being faster. As we can see from the video the iPhone 8 Plus appears to be faster than the Note 8 in a number of the tests. Although the iPhone 8 Plus appears to have to reload a number of apps, this means that the Samsung device is more efficient with its RAM management.